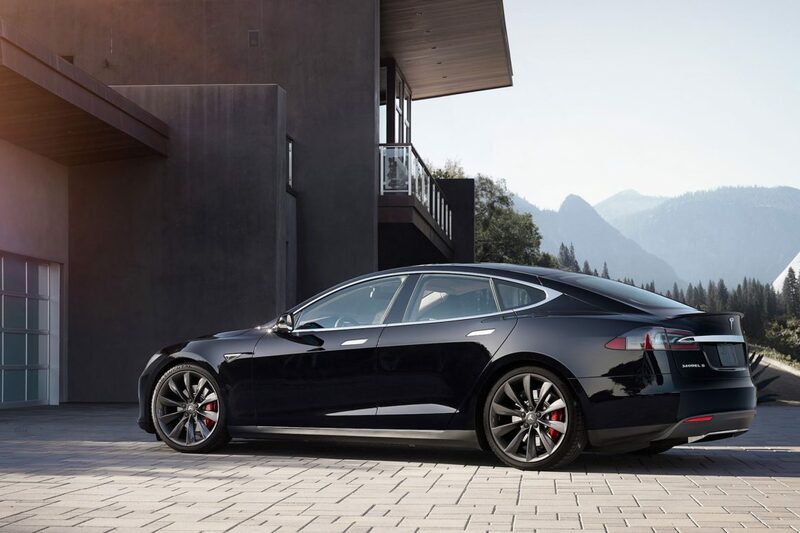 The all-electric luxury sedan known as the Tesla Model S has proven not only to be revolutionary for the automotive industry, but has gained a tremendous owner and enthusiast base – a perfect recipe for third-party aftermarket sales. And one important aspect is the choice of wheels (rims) that are available for a given automobile. First, I’d like to take a closer look at the factory options from Tesla Motors, Inc. and list the important specifications so that it will be easier to determine if a set of wheels would be suitable for the Model S. One additional driving force in this research was the issue that the 21″ wheels from Tesla are very hard, while the 19″ wheels do have quite some sidewall flexing. With that in mind, I am hoping that a 20″ wheel provides a fair compromise in a sporty, yet comfortable riding experience. The following list is not 100% complete, as Tesla used to make one wheel design, which was quickly discontinued. It was an energy saving design that some people thought was rather disturbing in terms of looks. The following six designs are split into two groups. Nonetheless, all six of the wheels share a few common specifications that I’d like to list first. PCD (pitch circle diameter) is 5 x 120mm. Lug nut size: Tesla relies on M14x1.5mm, 60° tapered lug nuts and does not use bolts. Offset: all of the factory wheels have a positive offset of 40mm. Wheel type: as common with automobiles, the wheels are following the J and H2 standard. The first group is made up of three different designs of the 8.0Jx19 wheels. From left to right, they are called Slipstream, Cyclone and Base wheels. They are all fitted with 245/45R19 tires and often used for all-season or winter setups. The second group is made up of two different designs and a second color option for one of the designs. From left to right, they are called Arachnid, Turbine and Turbine Black. Both designs can be equipped in a staggered setup, which means the rear wheels are wider than the fronts, or in identical dimensions for both from and rear. The 8.5Jx21 wheels are combined with 245/35R21 performance summer or winter tires and the 9.0Jx21 are fitted with 265/35R21 performance tires. Wheel shopping is a rather unthankful process as most shops do not provide a full customizable search filter to pick the specifications that would work with your vehicle. They rather rely on a database that is pre-matched to vehicles and their possibly suitable set of wheels. With low-volume vehicles, such as the Tesla Model S, these databases do not help but hinder your search for suitable rims. However, after browsing the web for hours, days and maybe even weeks, here are a few wheels that I think suit the vehicle very well and are not in the league of fully custom crafted wheels where a full set of wheels costs 4-5 digit figures. With the automotive industry becoming more and more aware of the Model S, and the fact that it shares some of the wheel specifications with BMW, the third-party market has recently opened up for a more interesting selection of wheels. It’s still not as easy as picking what you like and mounting them. In Germany, for example, it is required by law that non-factory wheels have to be approved by the TÜV (Technischer Überwachungsverein – German Association for Technical Inspection) to fit a specific vehicle configuration. This can be either be done by the manufacturer of the wheels in a more general matter or by the individual car owner on a car-by-car basis. These general documents are usually a good guideline on what the limits of certain specifications are, if a certain wheel is not available in the factory dimensions. A BBS wheel with a positive offset of 32mm, for example, was reported by the TÜV to be mounted and used without any complications or limitations. This is my lowest value I’d be confident to go. Keeping in mind that the factory value is at a positive 40mm, I would still prefer to be above +35mm if not +38mm. While the center bore is something that is adaptable, I recommend against it unless there is no other option. The required center rings that act as an adapter from a larger bore to the required 64.1mm would need to be strong enough to also take up some of the forces acting into the wheel. The PCD, however, is something that I would certainly not want to adapt from a different size, especially with a vehicle weighing up to 2.5 tons (with luggage and people). The Brock Alloy Wheels Deutschland GmbH is a German wheel manufacturer that offers a few wheels that fit the Tesla Model S. One of these designs is the Brock B32 which is available in a 8.5Jx19 w/+38mm or 8.5Jx20 w/+40mm. Color choices include silver, black and grey with front-polish. They all come with a 64.1mm center bore. The Italian MAK Performance Wheels company has two interesting wheels on offer. Both mimic the Tesla Base wheels in a way and have all the same specifications. 8.0Jx19 with +40mm offset, center bore of 64.1mm and a similar five-double-spoke design. Advance Wheels is a small company in Germany that offers an excellent choice of design wheels including the AV2.0 wheels that will fit the Tesla Model S. I’m not 100% certain about the offered choices, but it seems that 8.5Jx20 w/+35mm and 8.5Jx19 w/+40mm is available. This most interesting fact about these wheels is that they are directional, meaning there is a wheel for the left side of your vehicle and one for your right side of the vehicle. They are currently my favorite design and I’m hoping to use these for the summer with a nice set of 245/40R20 performance tires. Borbet has a set of wheels called the CW3, offered in black or silver, with 8.5Jx19 as their dimensions. Offered with a positive 35mm offset, they are suitable to be mounted onto a Tesla Model S. The center bore is 64.1mm and the PCD is 5×120 as required. Another German company, OXXO Wheels, offers the Vapor wheel. It can be ordered with 8.0Jx19, offset of +35mm, PCD of 5x120mm and a center bore of 64.1mm. It is a very low priced wheel that aligns well with the factory Base wheel, but is sticking just a tad further out in the wheel arches. Great choice for a set of winter tires, I think. Image courtesy of Tesla Motors, Inc., Brock Allow Wheels Deutschland GmbH, MAK Performance Wheels, Advance Wheels, Borbet GmbH and OXXO Wheels (Reifen Gundlach GmbH).